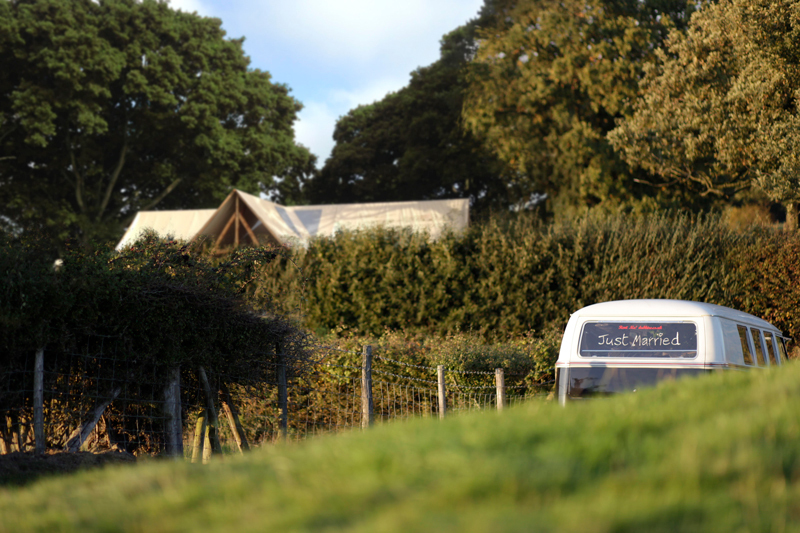 The Tree Marquee is a sustainably built luxury timber-frame marquee, conceived and constructed for the compassionately minded couple. Made from sustainably sourced UK Douglas fir, the solid beams and dramatic arches give the structure a striking, dreamlike air. 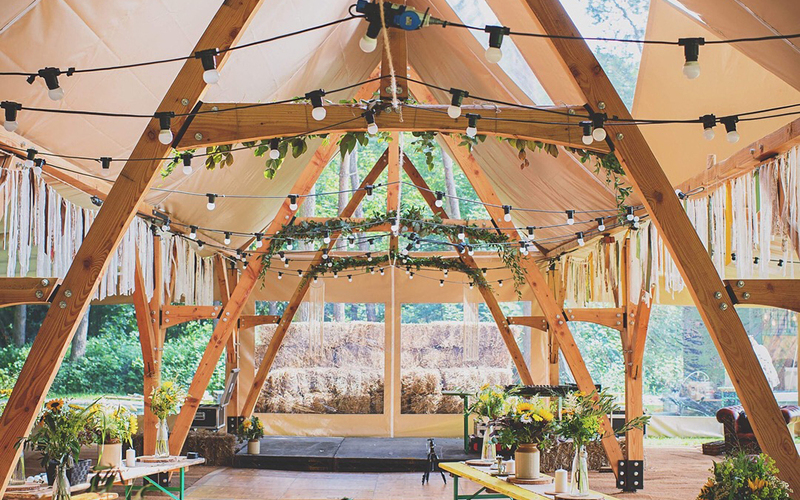 Unique, ecologically made and beautiful, the timber frame splits into four sizes, making it suitable for both intimate wedding parties and immense, splendid celebrations. 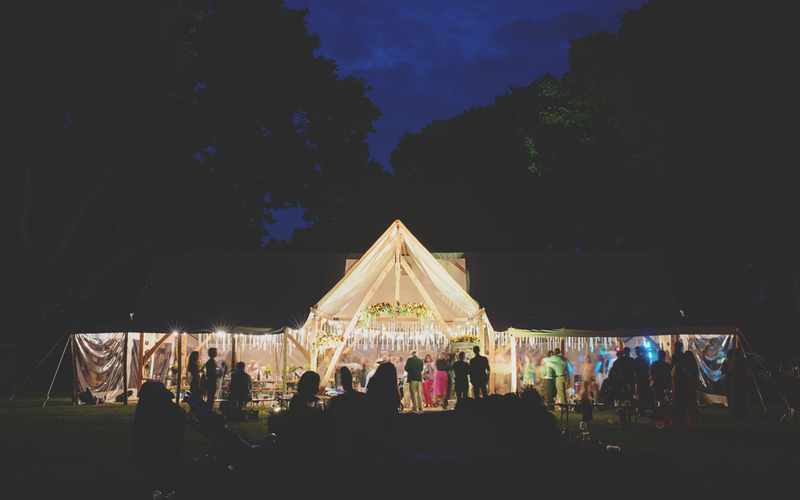 Wherever your desired location, the Tree Marquee is available for hire across the UK. 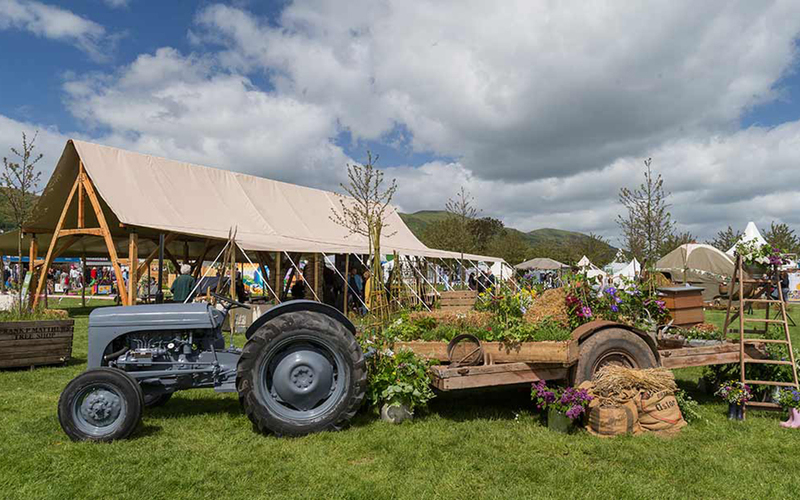 With bespoke production and environmental sustainability at its roots, the Tree Marquee is the ultimate in eco-friendly lux. 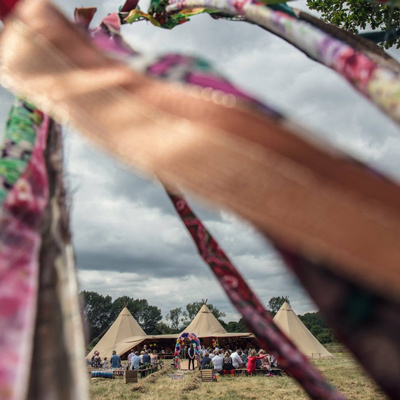 Created by New Forest couple Rob and Mia as an alternative to mass-produced, disposable design, everything about the Tree Marquee is environmentally sound. From the long-lasting hand-stitched canvas and FSC-certified local wood, right down to the natural oils it’s coated in, no deforestation or unfair trade has occurred in the making of the marquee. 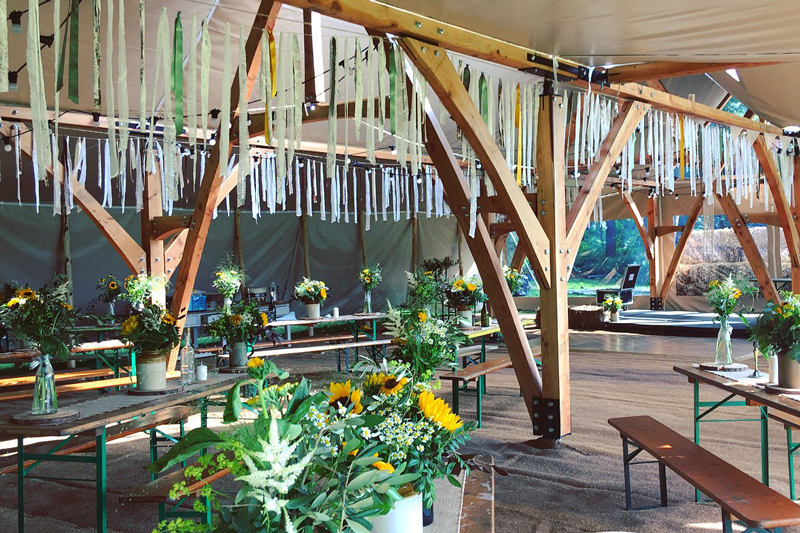 Standing tall at 18ft, the unique design of the Tree Marquee offers a one-of-a-kind setting for your once-in-a-lifetime day. 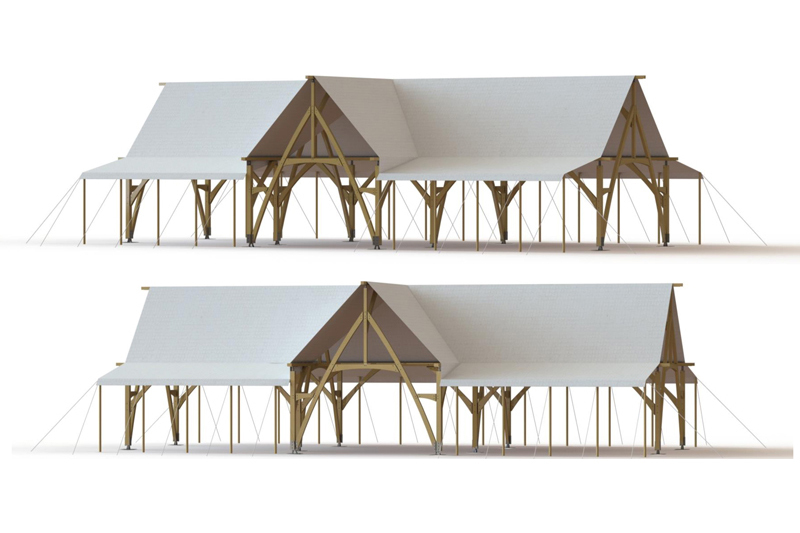 Whether your dream destination is a wild clifftop moor or an elegant English estate, the timber frame’s modular foundation gives you the option of four sizes – small, medium, large and extra large – the latter comfortably accommodating 800 guests. It also makes it the only marquee of its kind in the world. 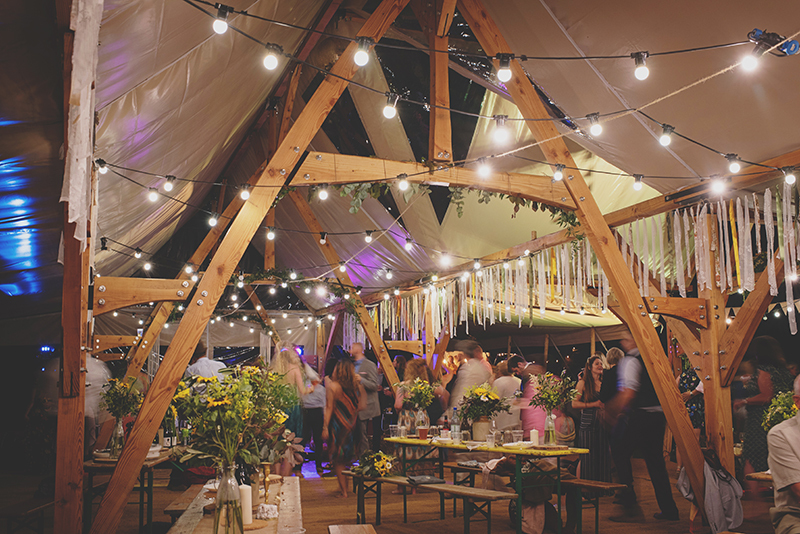 The Tree Marquee comes complete with reclaimed coconut matting floor and an upcycled parquet beech dancefloor, ready for you to add your own individual touch. The Tree Marquee provided us with a truly unique and special venue to host our lakeside wedding. It felt as spectacular as a cathedral and really is the most impressive outdoor structure I have seen. I think it’s rare to find an outside marquee with such style and heart as this one. Rob worked with us really well to ensure the layout and size option best suited our style of wedding.